ESET may collect personal information for the purposes of direct communication with You in order to respond to your questions, and fulfill your requests. If You send us product orders, service requirements, other requests or if you upload any materials to our website, we may have to contact you in order to gain additional information necessary for processing or in order to fulfill your order, request or requirement. For this purpose, as well as for the purpose of requested performance of services, we need to process your details provided via web forms, email or applications. If You already are our customer or if You agree with processing of your data for the purposes of marketing communication, We may use your details to administer marketing communication until You unsubscribe or send us a withdrawal of your consent. Contact information and data contained in your support requests are required for service of technical or other support nature provided by ESET. Based on the channel You choose to contact us, We may collect your email address, phone number, license information, product details and description of your support case. You may be asked to provide us with other information to facilitate service of support such as generated log files or dumps. The data from support may only be used for the provision of support service and for enhancing customer experience while providing support. The maximum storage period is limited by the time necessary for support provisioning and reviewing, and even in a pseudonymized form it cannot exceed the period of 10 years. We are doing our best while helping you to enjoy safer technology. Your input is very valuable for us and there are various channels available to provide us with samples of malicious or suspicious software. Samples and its metadata will be processed and stored based on public interest as well as legitimate interest of ESET, which is cybersecurity. Legitimate interest legal base or even public interest concerning cybersecurity entitling us to collect samples and service data for analysis, to provide You with even better protection, support and experience We can offer. Even marketing is recognized by GDPR as a legitimate interest, therefore we rely on this concept when it comes to cookies used by our web sites and communication with our customers. Consent, if required by legislation. Compliance with legal obligation e.g. stipulating requirements for electronic communication, invoicing or billing. 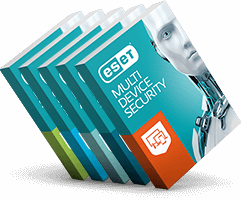 ESET is a company operating worldwide via its subsidiaries or other local ESET Partners as part of our distribution, service and support network. Information processed by ESET may be transferred to and from local ESET Partners. Based on your location and service You choose to use, ESET might be required to transfer your data to a country with absence of adequacy decision by the European Commission. Even in this case, every transfer of information is subject to regulation of data protection legislation and takes place only if required. Privacy Shield mechanism, Standard Contractual Clauses, Binding Corporate Rules or another appropriate safeguard must be established without any exception. It is our intention to prevent data from being stored longer than necessary while providing ESET products and services. ESET implements appropriate technical and organizational measures to ensure a level of security which is appropriate to potential risks. We are doing our best to ensure the ongoing confidentiality, integrity, availability and resilience of processing systems and services. However, in case of data breach resulting in a risk to your rights and freedoms, We are ready to notify the supervisory authority as well as the data subjects. We believe that all information we process is valuable and necessary for the legitimate purpose while providing services and products to our customers, and worth to protect with the highest priority.